LAST UNIT SOLD FOR $235K! AMAZING DEAL!! Best location in Ocean's Edge. Top Floor Penthouse unit for no noisy neighbors above you and peaceful views of the lake behind. (Private lake view with building across. NOT A VIEW OF A1A!) 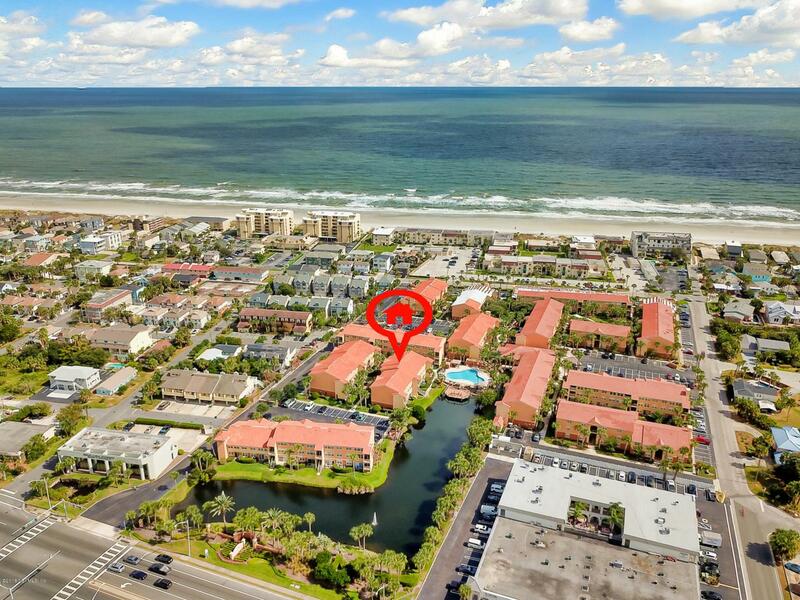 Amazing value for walk to the beach location (JUST 1/2 BLOCK) east of A1A/3rd St plus 24 hour fitness center, swimming pool, putting greens, outdoor grill stations, walking paths, clubhouse and summer kitchen & more! Beautiful gourmet granite kitchen with stainless steel appliances! Full size washer & dryer! Spacious master with huge walk in closet. Walk to restaurants&shops like Roy's, Bonefish, Panera&Coffee Bean. Dog friendly association with lots of green space. Solid construction with concrete block walls and impact glass windows.